Episode 19: Your Questions and Convention Reflections — What Would Alice Paul Do? Books Mentioned: The Woman's Hour by Elaine Weiss, Alice Paul: Claiming Power by J.D. Zahniser and Amelia Fry, and The Power by Naomi Alderman. Check out our episode on Advocacy versus Lobbying. League of Women Voters' 2018 National Convention Resources: All Convention Items from LWVUS, new video about the mission impact work of League of Women Voters around the country, Convention workbook, presentation archive including resources from the Diverse, Equity and Inclusion training from the Saturday session, the daily briefings on all the business that happened at convention, and the livestream video from the presentation, "A Conversation on Redistricting with Ruth Greenwood and Nick Stephanopoulos." 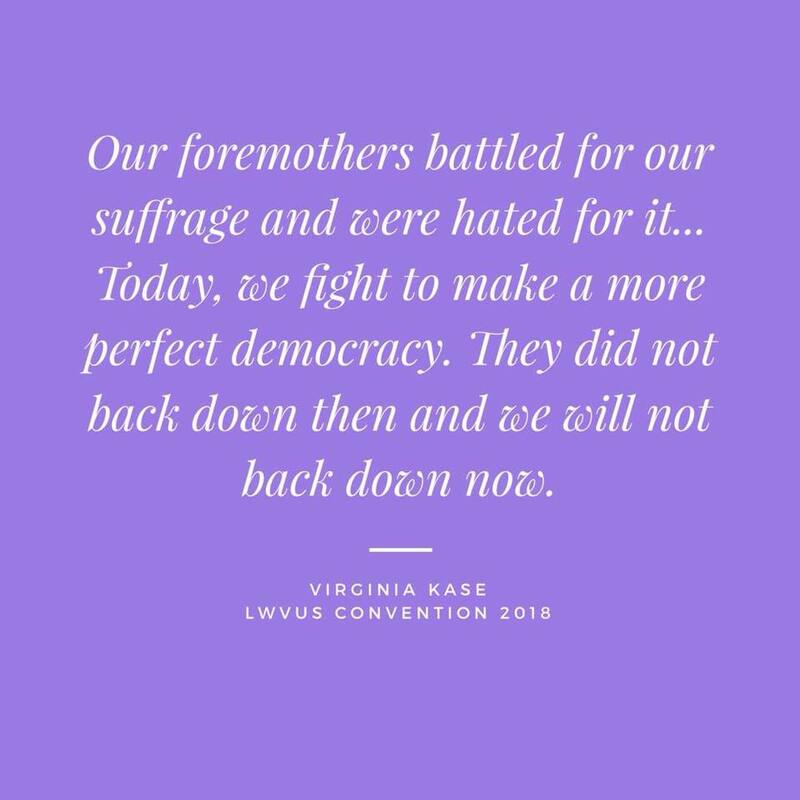 Meet Virginia Kase, the new CEO of the League of Women Voters of the U.S. Read "Virginia Kase's Midterm Plan: Make It Easier for Women to Vote" by Glamour Magazine. The Washington Post poll about Americans losing confidence in elections published June 2018. This summer, over a dozen groups are launching the Fix Democracy Now campaign from July 29th to August 4th, 2018 to encourage candidates running at every level of elected office from City Hall to Congress to campaign on their plans to create a democracy that works for all of us. Get the Fix Democracy Now Toolkit.